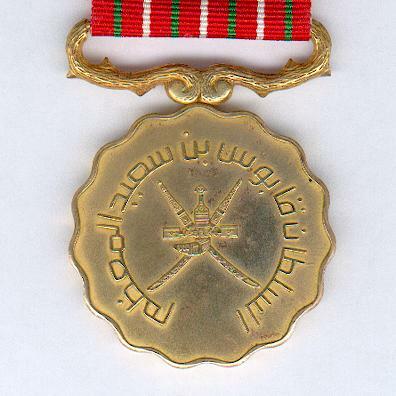 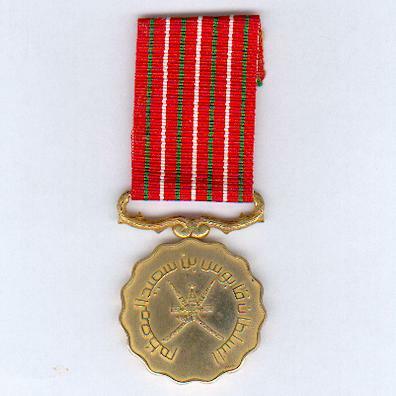 Circular scallop-edged gilt metal medal with ribbon suspender in the form of thorny branches; the face with the national emblem of the Sultanate of Oman, being a pair of crossed Omani swords in scabbards, a sheathed khunjar with belt attachments imposed, circumscribed in Arabic script ‘Sultan Qaboos bin Said Sultan of Oman’; the reverse with the central Arabic numerals ‘15’ circumscribed ‘Glorious Fifteenth National Day Medal’ in Arabic script and dated ‘1985’; small age oxidisation marks; on original ribbon with glue and paper residue to the upper reverse. 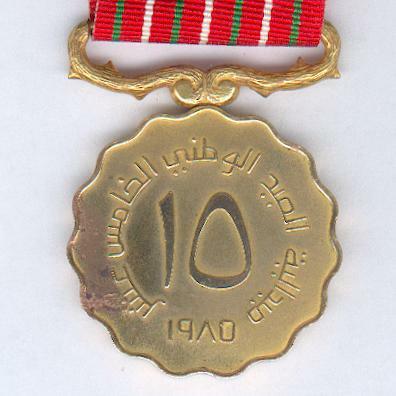 The Medal was instituted by Sultan Qaboos bin Said al Said on 18 November 1985 to mark the 15th anniversary of his accession. 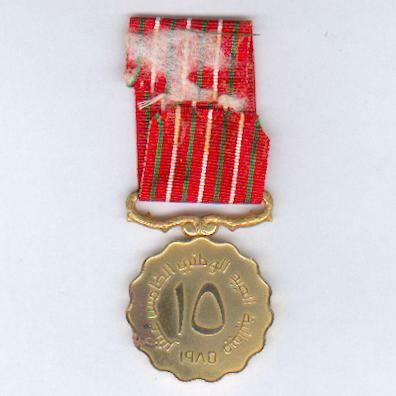 It was manufactured by Spink and Son Ltd. of London.